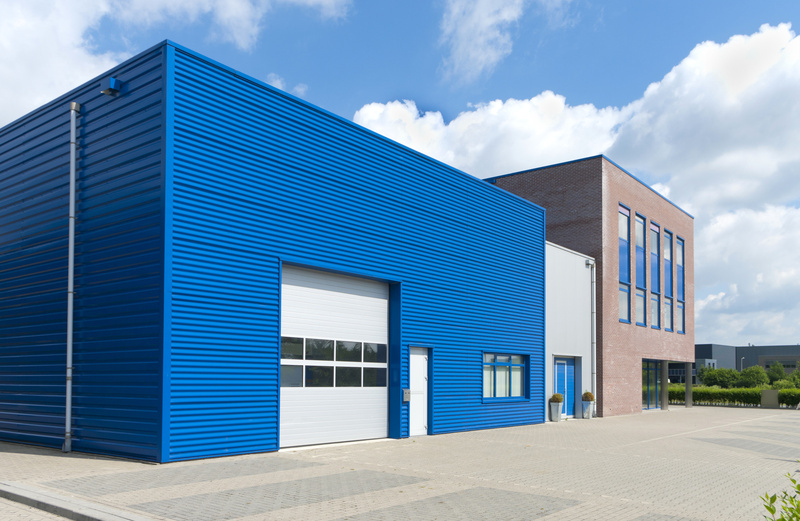 Why Are Metal Buildings Perfect For Businesses? Commercial metal buildings are becoming more popular as a choice for today’s businesses. There are many ways these cost-effective structures can house your next enterprise. Read further to discover why you should use one of these durable structures for your company today. Commercial metal buildings are pre-fabricated structures. They’re made of steel internal supports and exterior cladding. These buildings have pre-engineered parts that you assemble on site. Metal buildings are perfect for repair shops, manufacturing, and retail shops. Steel building materials offer versatile layouts as well as durable structure. Metal buildings provide options like many doors and hundreds of feet of space. Vehicles can enter and exit with no problem within the space that these commercial metal buildings provide. In 2018, the Auto Maintenance & Repair Franchises industry was a $ 67 billion industry in the US. A steel building’s high ceilings can house hydraulic life equipment and towing service vehicles. You can read more here on how metal building concrete slabs allow efficient drainage for petroleum products during oil changes. E-commerce warehouses are approximately 1 million square feet in area. They stock products until online orders come in from customers. This business model requires the same physical characteristics as automotive repair centers. Wide open spaces and high reliable industrial roofing allow for plenty of storage. Many doors and loading docks simplify transporting goods to other distributors. Youth sports is a $7 billion industry in the US. Youth sports facilities offer year-round access to many outdoor sports such as tennis, and soccer. Many city and county governments invest in youth sports facilities. These buildings are a low-cost way to provide year-round benefits to their citizens. Pet owners are looking for more ways to exercise and care for their pets while they are out of town or at the office. Areas with frigid winters or blazing hot summers are prime locales for pet daycare facilities. These commercial metal buildings can control interior climates to create a comfortable space for your pet. Commercial metal buildings are a great option for fitness centers. These pre-engineered floor plans are 33 percent quicker than wood or concrete buildings. A fitness metal building can span over 200 feet. This wide open space allows clients to interchange between weight machines and free weights. Many of these fitness centers may also have an exercise studio all under the same roof. Metal buildings are ideal for accommodating start-up microbrewery businesses. These structures can offer space over 40 feet tall and 300 feet in area. These wide open spaces can accommodate a wide range of large microbrewery machinery. This equipment can include fermentation vessels and packaging systems. Microbrewery production differs from traditional breweries. Traditional breweries produce over a million barrels of beer per year. They use up acres of industrial building space. U.S regulations limit microbreweries to producing 15,000 barrels of beer per year. That’s why these smaller metal building structures are perfect to house smaller enterprises. Steel frames cost around 5 to 7 percent less than traditional wood or concrete materials. Steel frames are also recyclable which makes it a less expensive material to buy. Custom designs also mean there is less wasted material during the construction process. Fewer resources to create steel means its a less expensive material to buy. Steel building materials are an environmentally friendly alternative to traditional materials. They use less natural resources and won’t diminish the earth’s natural supply. Some commercial metal buildings can last anywhere from 50 to 100 years. These materials can withstand hazardous site conditions or volatile weather conditions. Commercial metal buildings can resist extreme weather conditions ranging from hurricanes to blizzards. Metal buildings are also flame retardant and will resist fire damage. That’s why they are a safer investment for both safety and financial reasons. Commercial metal buildings are adaptable to any design configuration you want. These structures are so durable that you’ll need fewer support joists to hold it up. Fewer support joists makes it easier to remove walls to expand space as your business needs grow. Metal buildings also offer many options. You can pick how many skylights or windows you want. You can also pick many styles of facade designs for the outside of your building. These designs range from brick to stone to get the look and feel you want. Many commercial metal buildings are meeting today’s standards of smart building technology. These structures can maintain inside temperatures for long periods of time. Added insulation and automatic controls can regulate heating or ventilation. Lower energy usage will save you money over time. You might also qualify your company for government tax credits as well. Convinced yet that metal buildings are the best home for your new business? If you’re ready to get your operations underway, the first place to start is to buy a commercial metal building kit. These kits come with easy bolt-together instructions that you can do yourself. This spares you from expensive contractors to do the job for you. These DIY instructions also help you get your business up and running in no time. For more helpful advice on starting your new enterprise, don’t forget to check our blog. You’ll find articles there like this one on how to find commercial building painters. We’re here to help you make your business the success we both know it can be.